Interview: We spoke with community activist, and winner the Order of Canada Award Mr. Azhar Ali Khan about what he has done throughout his career, and his opinion on the state of Muslims in Ottawa. An article in the Muslim Link [January 2009/Muharram 1430 | Page 4 | 6MB PDF] talks about Br. Azhar and the work he is doing right now. This article was sent to Debbie Ducro, a Jewish-American journalist with the Kansas City Jewish Chronicle. She published it, and was fired the next day. This article highlights the internal struggle in the Jewish community and the threats posed to Jews who chose to speak against and criticize the current actions of the Israeli Govt. In Hertzl’s ‘The Jewish State’ the father of Zionism said: “We must investigate and take possession of the new Jewish country by means of every modern expedient.” I guess I agree with Ehud Barak ( 3 June 1998) when he said, “If I were a Palestinian, I’d also join a terror group.” I’d go a step further perhaps. Rather than throwing little stones in desperation, I’d hurdle a boulder. Jewish Rabi tells the truth about Gaza and Palestine, [youtube] and how the Jews have been duped into believing and supporting Israeli propaganda and oppression. Good Riddance Bush: Seems to be, not surprisingly, the sentiment from all over the world concerning the departure of the man who is being called the worst leader of the western world in a long time. People have even set up discussion boards to “commemorate” the time spent with Bush during his “administration”. So, we can breath a sigh of relief now…we can, right? well unfortunately, Bush as a president has the ability to pardon some people for their crimes. So, just like most vilains would do in despiration to destroy the world, he’s let the low lifes out just as he’s leaving. Israeli occupying forces to pull out of Gaza in time for Barak Obama’s inauguration. Seems like Jon Stewart’s assessment was right on target. A simple thing that you can do if implemented en mass may have a great impact. Print the image below and send it in as many envelopes, and/or emails as you can to the embassies, Prime Minister’s office, MP, MPP, etc. You can find details of their contact information at the bottom of this link. We’ve sent it already, and have gotten responses. Above all don’t forget your brothers and sisters in your sincerest prayers. NOTE:- It must be borne in mind that wherever a promise of forgiveness of sins is made upon the fulfillment of some action, it is only the minor sins that are forgiven. The major sins are not forgiven without true, sincere tawbah (repentance). The attacks that have killed hundreds of civilians were intended to target civilians. It is a simple and obvious case of terrorism. Interview: Executive Director of Human Concern International: What You Can Do! Please see our previous post on what you can do, Click Here. HCI has been working in Palestine and in Gaza for quite some time and has carried out several relief and development projects. HCI recently dispatched two trucks loaded with humanitarian aid to Gaza Strip to help besieged Gazans survive the deteriorating living conditions. The trucks crossed King Hussein Bridge carrying basic food items. As you will note from the HCI outreach campaign [Besieged Gaza Strip HCI | Word Document], we are doing our best to help the civilian victims of the current crisis in Gaza. We have already channelled $100,000 and a massive medical aid package worth 1.8 million dollars is on its way to Gaza. You can Donate through HCI! You can Donate through I-R! Israel Rejects Truce, Continues With Gaza Terrorism and Murder: An estimated 300 or more Israeli airstrikes against Gaza Strip targets since Saturday have killed more than 360 Palestinians in a campaign meant to undercut Hamas and repress its ability to fire rockets into Israeli territory. Four Israelis have died from dozens of rockets fired by Hamas over the last four days. Israeli military officials said Monday that their target lists have expanded to include the vast support network that the Hamas relies on to stay in power in Gaza. The choice of targets suggests that Israel intends to weaken all the various facets of Hamas rather than just its armed wing. This includes many aide and extensive social services networks Hamas has established to make life a little bit more tollerable for the people of Gaza. “Anything affiliated with Hamas is a legitimate target,” says an Israeli defense spokeswoman. The territory’s uniformed police have taken major hits, with several police compounds destroyed. The police force is tasked with keeping peace and order internally, not attacking Israel. But the Israeli military has said the police are fair game because they are armed members of Hamas’s security structure. It seems as though the targetting of innocent civilians is not accidental. According to a former Adviser to Israel’s security service the approach of targetin g civilians to encite hatred towards their elected government is intentional and was planned. “Hamas’s civilian infrastructure is a very, very sensitive target. If you want to put pressure on them, this is how,” said Matti Steinberg, a former top adviser to Israel’s domestic security service. Israel has not allowed foreign reporters into Gaza since the operation began Saturday. Pakistan urges new India dialogue: Foreign Minister Shah Mehmood Qureshi also urged India to move some troops and air bases away from joint border areas to send a “positive signal”. India blames Pakistan-based militants for the attacks in Mumbai that left more than 170 people dead. Yet, Delhi denies making any significant troop movements towards the border. In other Pakistani news, Pakistan suspended supplies through the Khyber Pass to US and Nato forces in neighbouring Afghanistan as security forces launch a major offensive against suspected pro-Taliban fighters. Pakistan has sent tanks, helicopter gunships and artillery units into the region of Jamrud. Former Bangladeshi Prime Minister Sheikh Hasina will return to power after her Secular Party posted a landslide win in national elections today. Omar Abdullah set to be the new Jammu & Kashmir Chief Minister: It seems certain that Omar Abdullah of the National Conference will be the new chief minister of Jammu and Kashmir. All set to become the youngest Chief Minister of Jammu and Kashmir, Omar Abdullah favours the continuation of the peace process in the state. 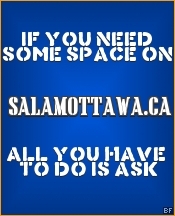 What would you like to hear on Salam Ottawa? Violence and Mayhem in Gaza at the Hands of the “State” Terrorism of the Israeli Government – What you can do! The PCC is working on developing an action plan. They have been in contact with many organizations and groups across the nation. They are counting on your participation, and involvement to succeed in making an impact. a. Letter campaign: (see letter template below) send a letter to the Prime Minsters’ office, the Minister of Foreign Affairs and your MP. Letter sample and contacts information are provided below. b. Phone campaign: Call the office of the PM, Foreign Affairs and your PM to express your concerns. Use some of the talking points and what is called for in the attachment. c. Online campaign: Look for news articles covering the Gaza attacks in the Canadian media outlets (cbc.ca, theglobeandmail.com, nationalpost.com, etc.). If provided, provide your comments on the article and demand actions from our Government. (Recommend positive comments submitted by others). Otherwise send an email to the editor. a. Toronto: a demonstration @ 2pm on 180 Bloor Street West. For details contact Palestine House at 905-275-3622; or Dr Farid at 416-473-1189. 3) PCC to follow up next week to request a meeting with the Minister of Foreign Affairs office. Capitalizing on the our community participation in the national campaign, the PCC with coordination with other groups will demand from our government to call for immediate cease-fire, lifting the siege and to provide the humanitarian aids. Synchronized message (rational, short, clear demands) to be more effective. Act now, participate in the national wide campaign. Spread out the word to your networks of Arabs, Muslims, and other supporting fellow Canadians. boycott Israel for its continuous violations of international law. violence: Israeli occupation of Palestinian territory. Subject: Canada has to stop extremism. I am writing to express my concern as a Canadian watching the massacre of Gaza. Over 345 Palestinians have been killed and 1,550 injured in Israeli raids, yet we stand by as idle pawns. Why are we allowing Israel to breed and facilitate terrorism by killing Palestinians? As the Palestinian death toll rises, more Palestinians and citizens of neighboring countries will grow to hate, and be vengeful towards the Israelis. As more anger and frustration is built, the number of extremists will grow. We cannot allow more violence, we cannot allow a reason for extreme measures, and we cannot allow our country to become a silent partner in breeding terrorists. As a Canadian and citizen of a country that prides itself on justice, freedom and democracy, I urge you to take a stand in ending the rise of extremism, and not stand in silence as hundreds of innocent people are killed. I urge you to call on an immediate cease-fire and to demand free access for international humanitarian organizations, which Israel has blocked. “In the end, we will remember not the word of our enemies, but the silence of our friends.” – Martin Luther King Jr.